I truly love the direction some of the martial arts film have been lately. It has appeared they have added an extra flair to their trailers as of late. We can talk about Crouching Tiger, Hidden Dragon and Yip Man all day, but we must look towards the future of martial arts films. This trailer is Tai Chi 0 is the prime example of what I am trying to expressed.This film is directed by Stephen Fung and Sammo Hung. Sammo Hung has really shown his artistic level heighten with his recent films as the choreographer; it would not surprise me if he is doing the same for this film. Starring in the film are Tony Leung Ka-Fai, Angelababy, Eddy Peng, William Feng, Yuan Biao, Jade Xu Huihui. A nice old and new school cast which has made a strong believer out of myself. However, I truly hope and pray it is one of those films which is extremely bland while all the action presented in the trailer is the only action there is! If anyone is familiar with hip-hop music video director, Hype Williams, you would naturally think he was apart of the film! Overall, the trailer is hot! Maybe America will recognize the heightened aesthetics of the martial arts world! Martial arts stars Donnie Yen and Vincent Zhao in an upcoming film, secret identity. The movie is currently under production which Yen will also be producing and choreographing the fighting scenes. 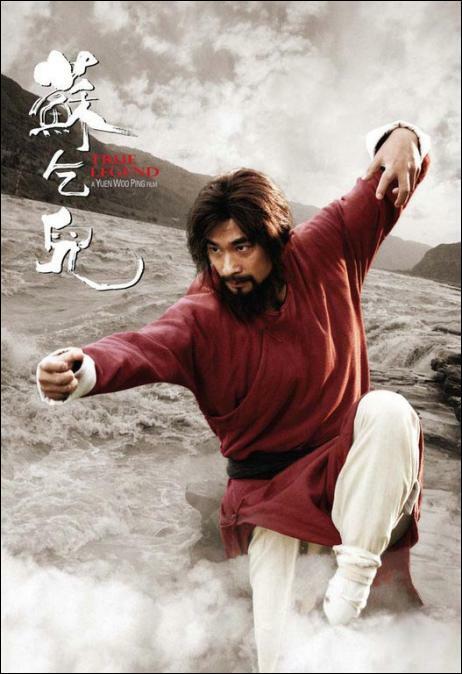 Zhao (star of True Legend) has a foot injury and needs an operation but says he has postponed this to work with Yen. featuring a montage of some of the most illest fighting scenes within the past couple generations. Mixing the sounds of dubstep and hop socky kung fu action is truly a beast!! The editing in the film was pretty dope. Hope you enjoyed it as much as I did! I don’t know about y’all, but I wouldnt want to get hit in the face with a Nunchaku. I hit myself with the chucks and its not pretty. Matter of fact, I cracked the skin off my forehead a few years back and even blacked my eye. Therefore, where’s my glock ( i kid i kid). Its unreal to realize Jackie Chan has been in about over a 100 films. Naturally yo would think someone stop and retire. Unlike Jackie, stop filming will not be anytime soon. His latest Hong Kong film will be taken on a serious role depicting a war in 1911 which changed China forever! Jackie plays Huang Xing, an actual solider from Xinhai Dynasty which followed up to the plunge of the Qing Dynasty. The Qing Dynasty’s plunge lead to revolution lead to country to be referred as the “republic of China”. Jackie Chan has been widely known around the world for his dynamically campy action films with death defying stunts. On the other hand, he has recently taken more serious roles into consideration. The Drunken Masters and Rush Hour series are fine regards to comedy, but playing a role with significant meaning give the Jamie Foxx approach with Ray Charles in “Ray”. This film defaces what people tend fight nowadays.People now only fight for fame, glamour, or any superficial reasons. I must admit it would appear to be hypocritical for me to make such a statement when I blog or write about fashion (besides martial arts). Instead, I try to write about the artistry/inspiration behind the designer’s themes. Jackie’s epic shows what people should really fight for. Revolutions reforms the functions of politics and traditional (fixed) thinking. Hoping I will do the same with this blog. Old skool is the best!! There isn’t anything like it, which is why I cam posted a fighting scene from The 5 deadly Venoms. Wei Pei and the crew are a beast with cult classic! Talk about almost straight to the MothaF____ing point! Jaky Wu Jing didn’t even break a sweat in this fighting scene outta Fatal Contact. Great fighting scenes outta thins movie. One of the baddest fighting scenes ever with m fav, Donnie Yen in Ip Man. 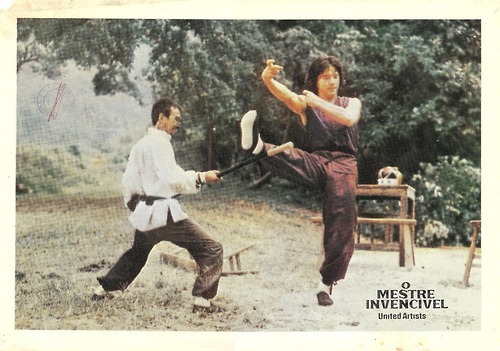 For those who has never heard of the legendary martial artist, he was the instructor of the famous Bruce Lee. He was definitely a positive figure; a gentleman who fought not only for himself, but his people.